Is it possible to mass delete other Facebook information? Even if we never did an embarrassing search on Facebook, it's still a good idea to delete Facebook search history every now and then. 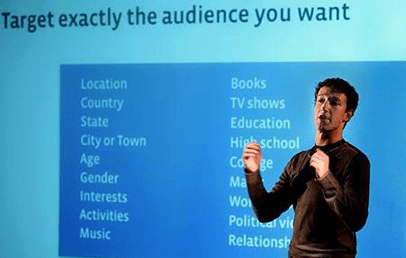 Remember that Facebook will use any and all information it has on us to make money, selling the data to advertisers. When we delete Facebook search history, we remove a small but potentially significant part of our personal data. 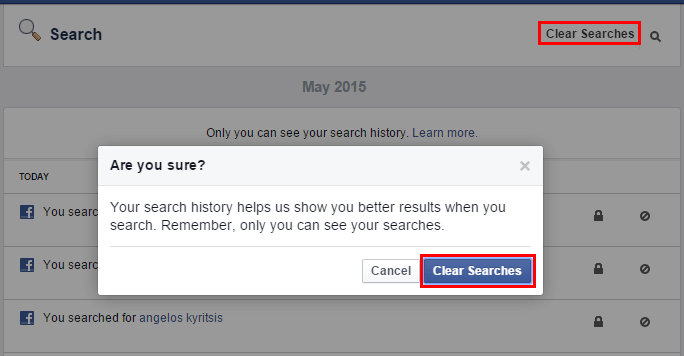 There are a lot of posts on the internet on how to delete Facebook search history. And, most of them are dated, taking the long road to reach the complete Facebook search history, going through profile -> activity log -> search. Well, all of this belongs in the past. 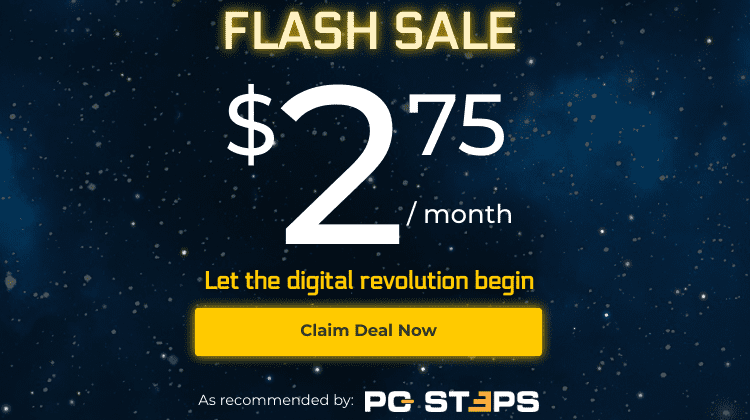 We only need to go to our home page / news feed, click on the search bar, and click EDIT. This will immediately take us to our complete search history. 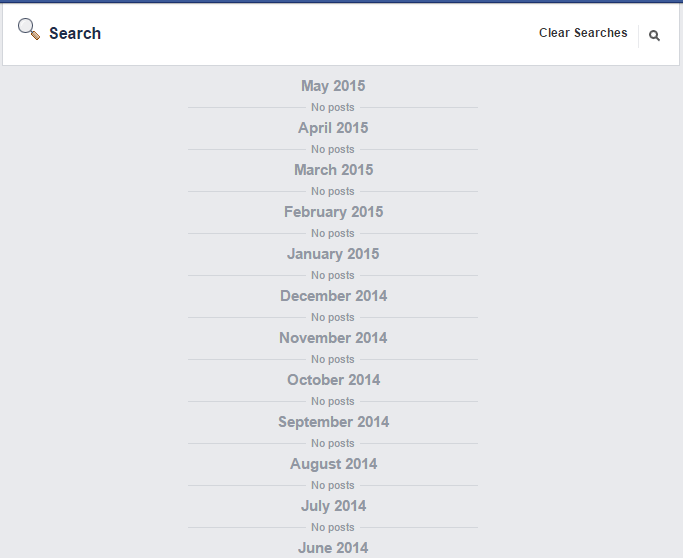 ...or we can go nuclear, and delete everything, by clicking and then confirming the "clear searches" option. This will delete Facebook search history for good. 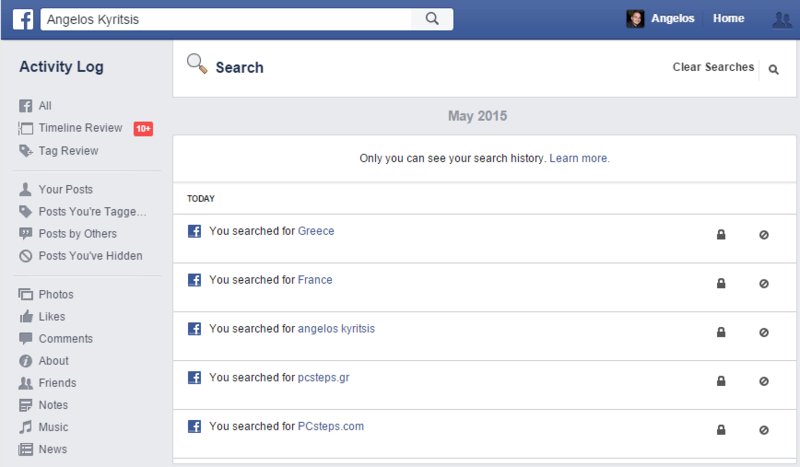 Unfortunately, for the time being it's only possible to delete Facebook search history with one click. 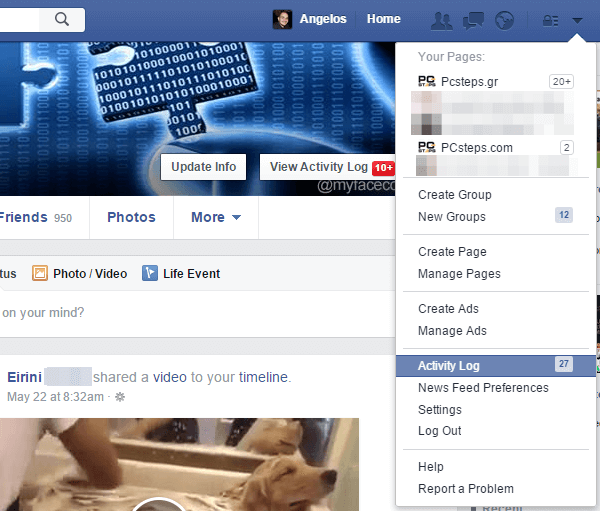 There is no such "clear all" option for the other parts of the activity log, such as our comments, likes, etc. However, there is a way to automate such actions, by creating our own Pulover's Macro Creator script. 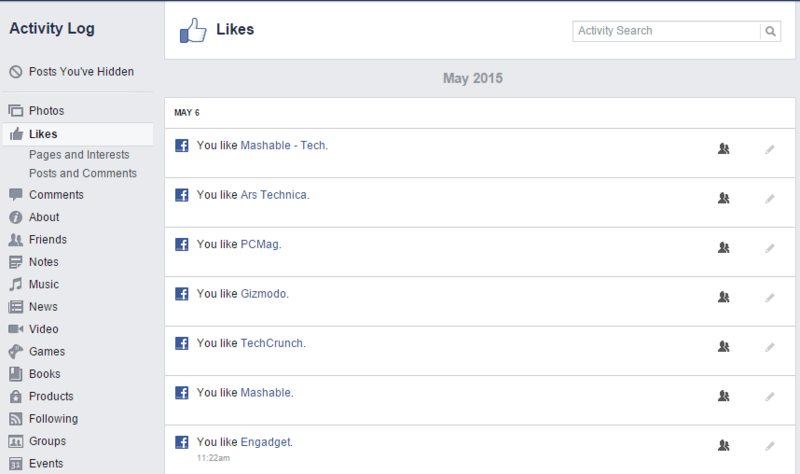 On future guides, we will see how to create such automated scripts, to delete other Facebook information. 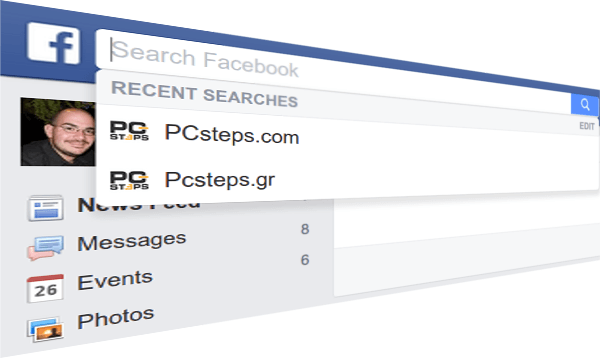 Is there a way after you do the clear search history on facebook that you can also delete the list that shows up when you do a new search in the search bar on the home page? What I'm finding is when a type any letter in the search bar a list of old pages or names that I have looked up in the past pops up for you to click on and I'm trying to get rid of that list and have new clean items show there versus the old stuff.